krotoplaxx diary disc 1.1 || Ryan O’Toole || 11:40 min. 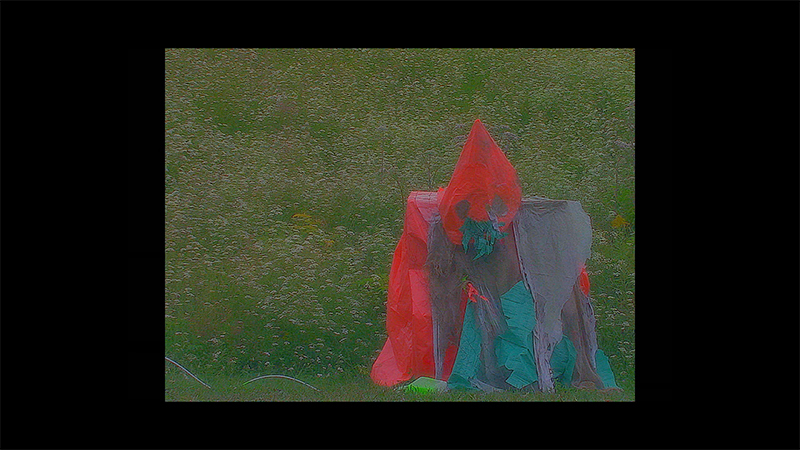 Inspired by environmental illness, fracking and propaganda video-making, krotoplaxx diary disc 1.1 imagines a near-future wherein polluted land has mutated into a somewhat sentient force, now hunting, pillaging and experimenting on humans. The film posits violence as a cycle of learned behaviours: humans have long abused their environment but the cycle has now entered its second phase, with the polluted land turning its learned behaviour onto its abusers. Ryan O'Toole is a filmmaker from Fredericton, New Brunswick. His work has been featured at film festivals internationally, including the Cannes Film Festival and the Toronto International Film Festival, and broadcast on Canadian television. During the 2013-14 academic year he served as the Media Artist-in-Residence at the University of New Brunswick. He holds an MA in Media Studies with a focus in Film Form from the New School. His work has been supported by the Canada Council for the Arts, the New Brunswick Arts Board and the New Brunswick Filmmakers’ Cooperative. krotoplaxx diary disc 1.1 is part of Atlantic Auteurs Program One at HIFF 2018.